There continues to be a growing interest in the use of marijuana for medical purposes, and now researchers from the U.K. and Spain may have discovered a way to isolate the plant’s medical benefits by eliminating potential side effects. For the study, published in a new issue of the journal PLOS Biology, researchers used mice to see how cannabis’ main psychoactive ingredient, tetrahydrocannabinol (THC), worked within the body’s pathways. They discovered that the THC pathway involved two separate receptors, one for cannabinoid and another for the neurotransmitter serotonin—this is why the cannabis has both benefits and side effects. When the researchers blocked the pathway, they observed that the THC was still able to provide medicinal benefits, such as pain relief and less nausea. At the same time, one particular serotonin receptor called 5HT2AR also reduced the chances of impaired memory, which is significant because the amnesiac effect is said to be one of the common side effects of using cannabis. According to the study’s authors, the biggest value of these findings is that they establish a possible way of reducing some of the unwanted side effects associated with THC, while still keeping many of its important health benefits. Since the study was only done on mice, further research needs to be carried out using human subjects. Researchers hope that this will eventually lead to the safer use of marijuana for medical purposes. 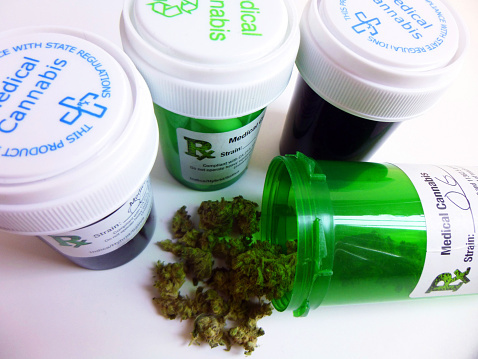 Lam, P., “Unwanted side effects of cannabis isolated in new study,” Medical News Today web site, July 10, 2015; http://www.medicalnewstoday.com/articles/296422.php.